2016 has certainly been a spectacular year for the one and only, brilliant Rio Mangini. From being a part of the fan-favorite and iconic MTV show known as “Teen Wolf,” to working on a highly-anticipated, new movie, and even finding out that the movie will be heading off to the renowned Sundance Film Festival, amongst many, many other successes. Rio Mangini’s talent is truly impeccable and he always does such a breathtaking and magnificent job in every project that he works on. He has such a natural gift at being so talented in everything – from acting, his piano playing, working on music, and beyond. Rio’s versatility as an actor allows him to portray a variety of roles and show how he can give justice to each and every one of them. It’s clear to see that Rio Mangini has and continues to make an everlasting impact in the entertainment world and we’re all super excited to see all of the continued successes and awe-inspiring accomplishments that Rio Mangini will have in the new year. I, Alexisjoyvipaccess had an excellent time at PMG’s gift-wrapping event with Hasbro and GenerationOn and had a fantastic time catching up with and interviewing the phenomenal Rio Mangini again at the event. Rio Mangini dished exclusively to Alexisjoyvipaccess all about what his reaction was like when he found out that his movie was going to be screened at the Sundance Film Festival, what is the best holiday gift he has ever received, what advice he would like to give to fans on how they can give back for the holidays, and so much more only in our VIPAccessEXCLUSIVE updated interview. Rio Mangini also spilled on what gift he would like Santa to bring him this year for the holidays – find out what he had to say in our VIPAccessEXCLUSIVE updated interview below. Thanks for another fun interview, Rio – always a blast chatting with you! 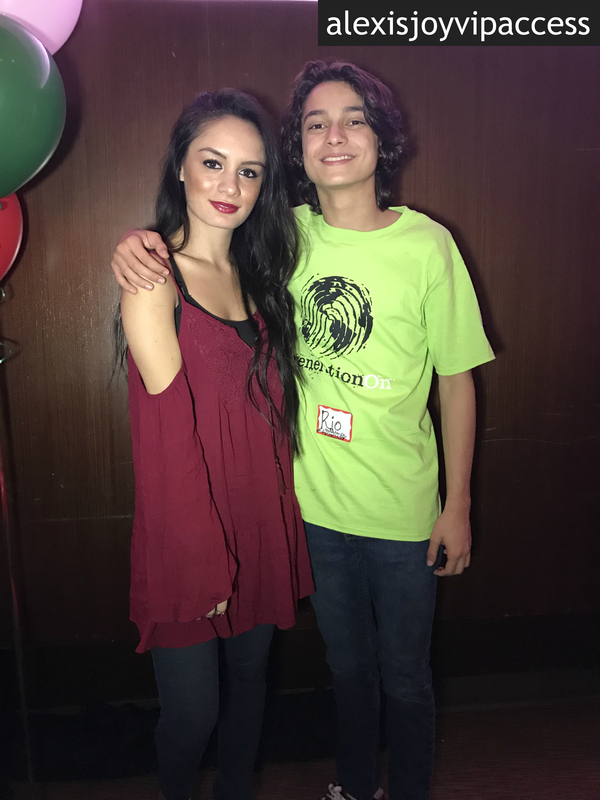 Check out my VIPAccessEXCLUSIVE interview with the remarkable Rio Mangini at PMG’s gift-wrapping event with Hasbro and GenerationOn below! Previous Article: Brooke Lewis Continues Her Amazing Empire With The Launch Of Her “Profess Your Hot Mess” Makeup Line! Next VIPAccessEXCLUSIVE: Josh Levi Interview With Alexisjoyvipaccess At PMG’s Gift-wrapping Event With Hasbro And GenerationOn!